This portion of the surface of Callisto, Jupiter's second largest moon, contains an immensely varied crater landscape. A large, degraded crater dominates the southern (bottom) portion of the image. 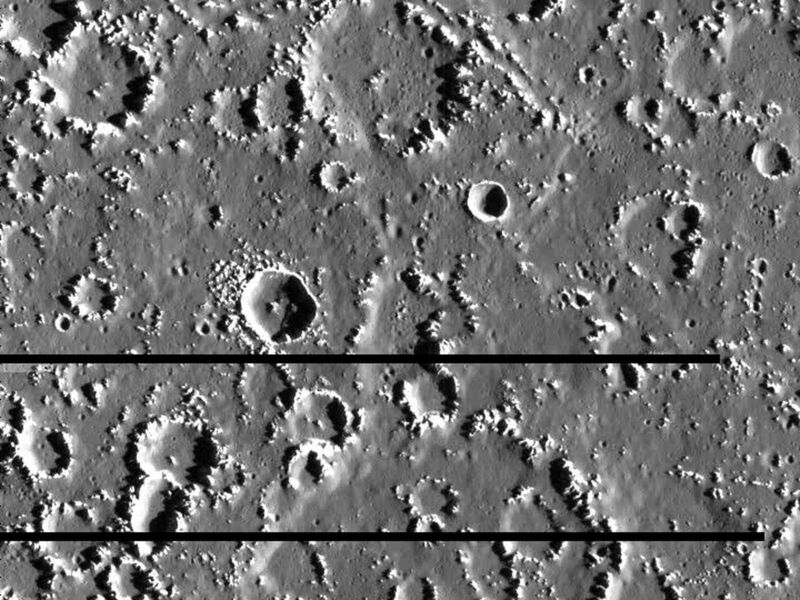 There are fresh to highly degraded craters at all sizes, but a relatively low number of small, fresh craters. A diagonal "trench" cuts across a crater rim in the north (top) of the image. 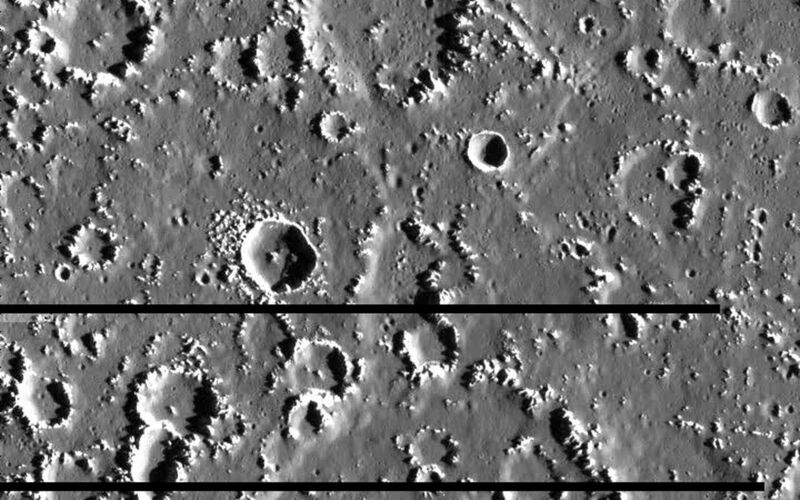 Several clusters of small craters appear throughout the image. 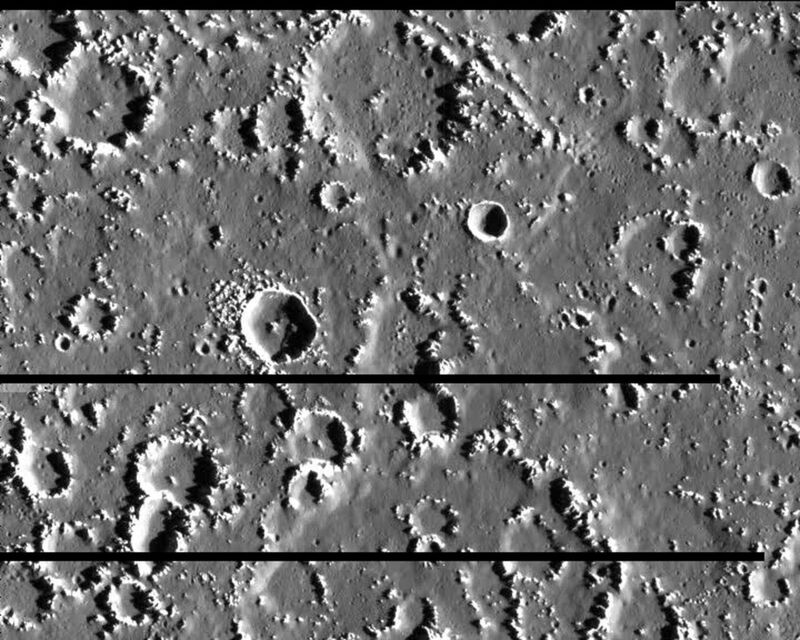 Images revealing the appearance and numbers of craters, help establish which erosional processes take place on a planet's surface, and help determine a relative age for the surface. North is to the top of the picture. The image, centered at 13.4 degrees north latitude and 141.8 degrees west longitude, covers an area approximately 61 kilometers (38 miles) by 60 kilometers (37 miles). The resolution is about 85 meters (280 feet) per picture element. The horizontal black lines indicate gaps in the data received for this image. The image was taken on September 17th, 1997 at a range of 8400 kilometers (5200 miles) by the Solid State Imaging (SSI) system on NASA's Galileo spacecraft during its tenth orbit of Jupiter. This image and other images and data received from Galileo are posted on the World Wide Web, on the Galileo mission home page at URL http://solarsystem.nasa.gov/galileo/. 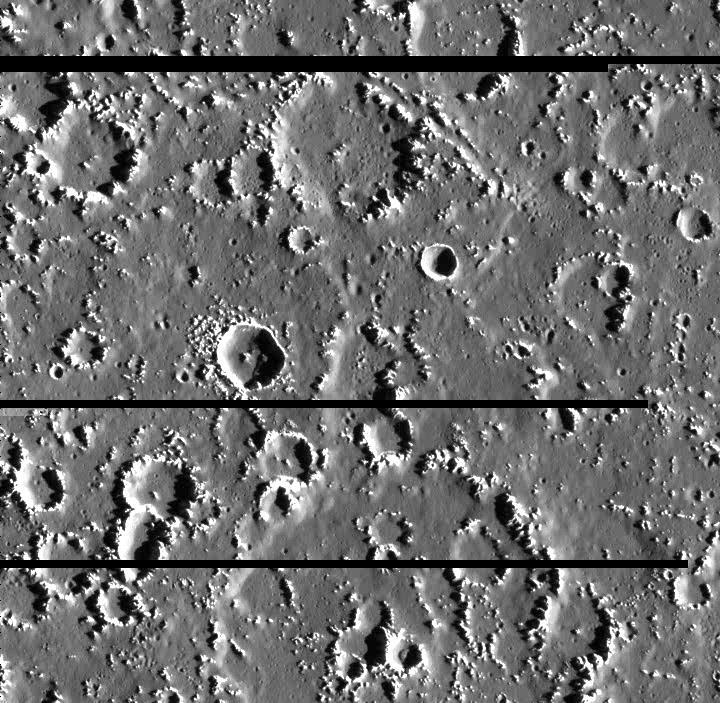 Background information and educational context for the images can be found at URL http://www.jpl.nasa.gov/galileo/sepo.